On a ledge, in a basket, on a nail by the back door. 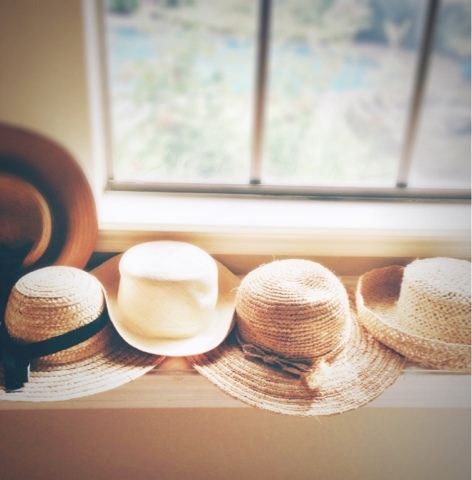 Nothing says summer like a straw hat. "How beautiful the morning when summer days are long"